Cindis World: THEY CANCELLED ORDERS!!! Lawn Repair Seed Mat - was $9.99, now .92 with Free shipping! THEY CANCELLED ORDERS!!! 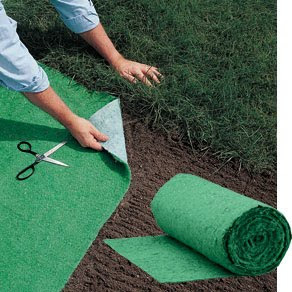 Lawn Repair Seed Mat - was $9.99, now .92 with Free shipping! Miles Kimball has these Lawn Repair seed mats for 92 cents and with code, free shipping too! Just go HERE and when you get to the checkout process, enter code 10310000103 for free shipping. I got 5...figured even if its not the kind of grass seed Jeff wants, could still work for some of the hard to grow areas under the pine trees in back at the end of the property.